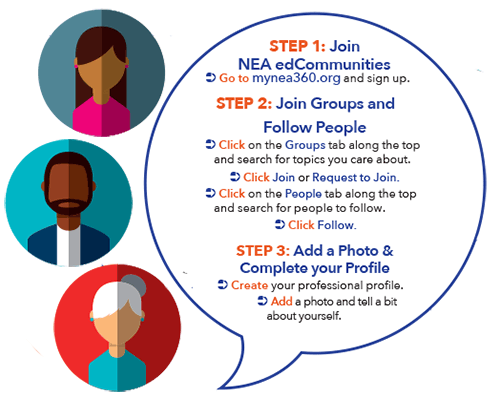 Have you joined NEA edCommunities yet? NEA's edCommunities is an online social sharing-style resource for everyone who works in the education community. That's right. You do not need to be a member of NEA/Missouri NEA to join. Log in to connect with other educators, administrators, support professionals. Join a group or start your own public or private group. Post questions and get answers from experienced colleagues from across the state and nation.